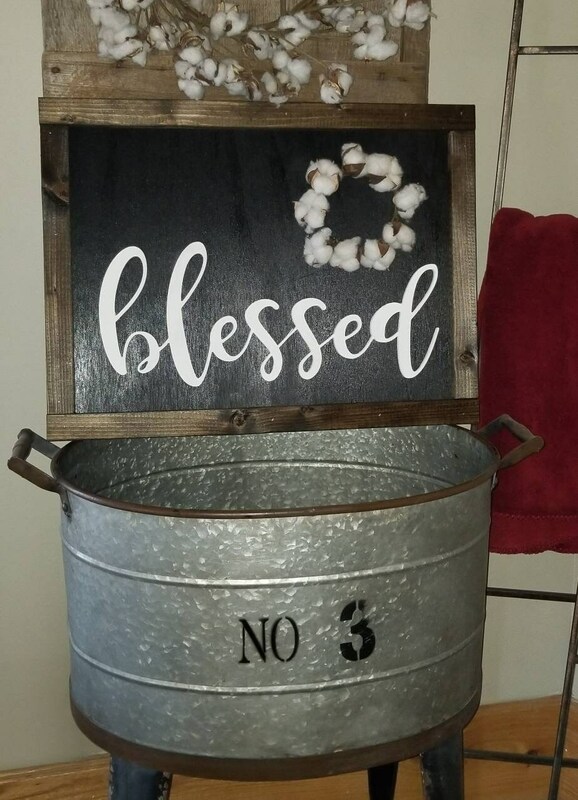 Background is painted glossy black. 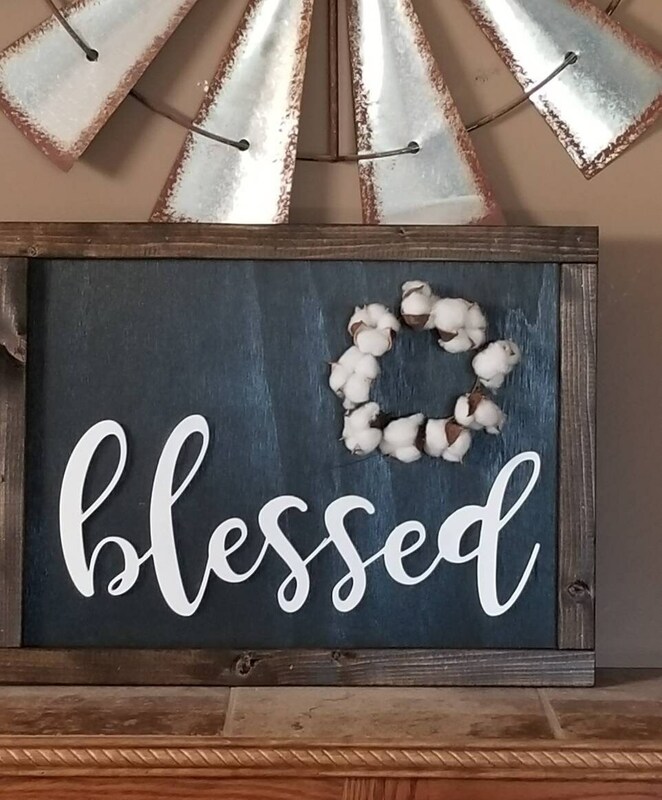 The frame is stained a dark walnut. 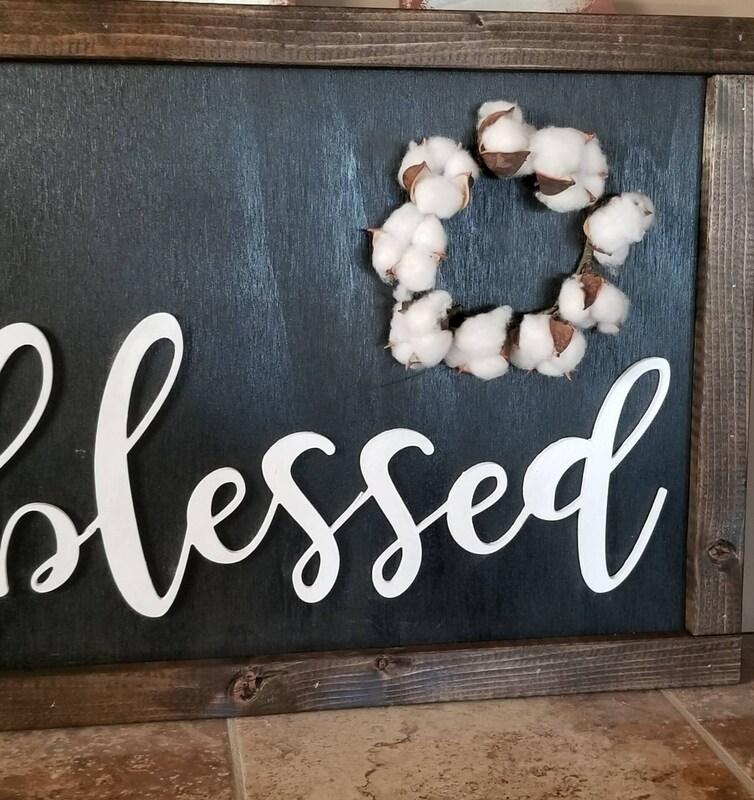 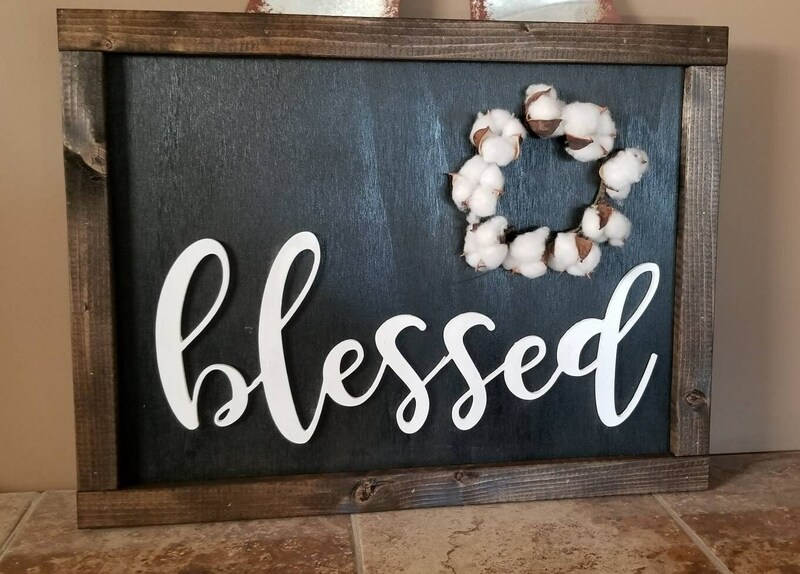 The word blessed is a word cut out of wood for a raised 3d look. 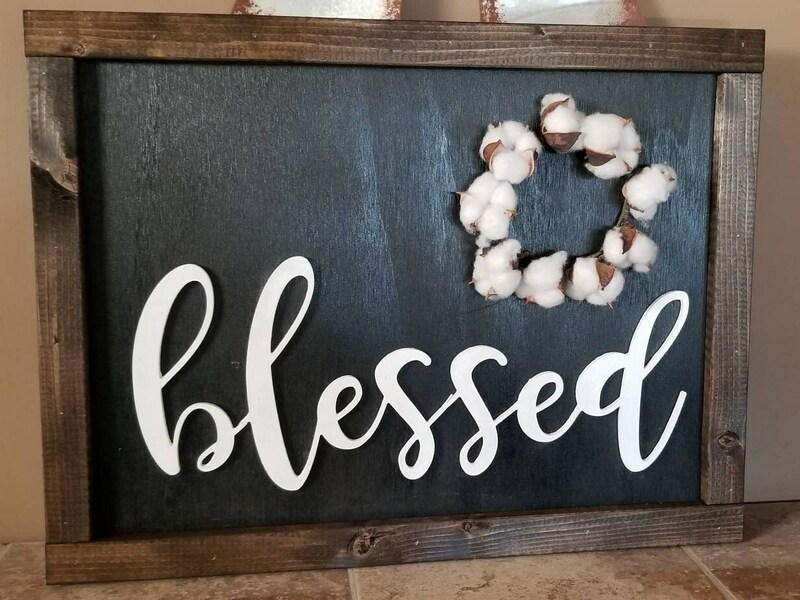 Comes with the cotton wreath attached.